It is hard to keep up with Dan’s output. I had barely had enough time to absorb his previous Spherical before he sent me his next CD Eros Thanatos. Not being familiar with the meaning of this Greek term, I did a little research and discovered that Freud theorized that the duality of human nature emerged from two basic instincts: Eros and Thanatos. He saw in Eros the instinct for life, love, and sexuality in its broadest sense, and in Thanatos, the instinct of death and aggression. Eros is the drive toward attraction and reproduction; Thanatos toward repulsion and death. One leads to the reproduction of the species, the other toward its own destruction. 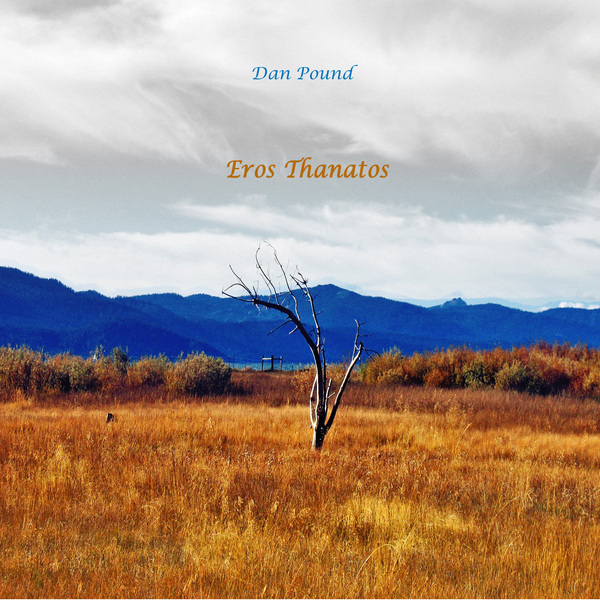 What Dan Pound has attempted is to communicate these concepts through his music. On the one hand you hear sequence driven romantic electronic music, while on the other hand there are passages that evoke images of breathing as the music slowly flows back and forth, like deep sleep breathing. Then on “Shadow in the Dark” something new for Dan, dark and almost sinister ambient music. The title track is another shift to piano sequences that are almost Eno-esque in approach. This is great stuff, especially if you just want to kick back and let your mind flow free of your everyday troubles and worries.